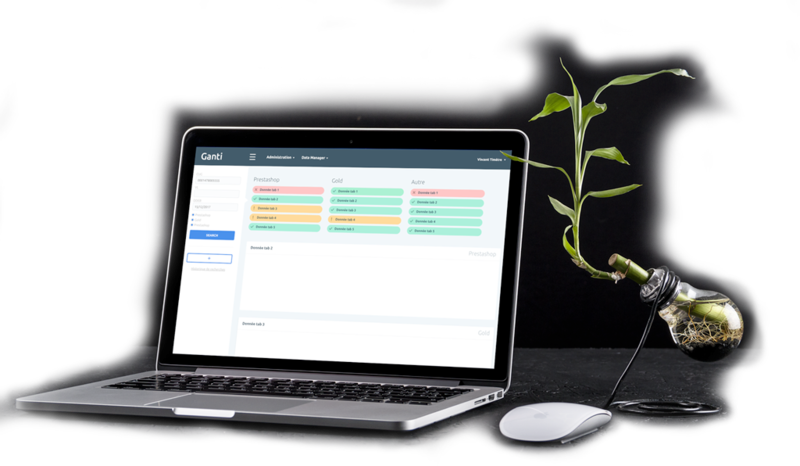 Ganti is able to connect to all standard SGBDR such as Oracle, Mysql, Postgresql, AS400, ..Thanks to theses connectors, Ganti will retrieve the objects datas of all your systems. One of Ganti’s key feature is its easy configuration. In 5 minutes you can configure a new domain to retrieve all informations of any object in your system. According to your needs, Ganti can be used via the cloud or on-premise solution. We developed Ganti under Docker technology to install and deploy very quickly. Ganti is a Data Analysis Tool with different modules (Data Manager, Query Manager, Launcher Manager). It’s an application dedicated to analysts to help them when they have to inspect the differents applications to find an issue. Ganti’s goal is to save time. In case of issue, today analysts have to search in each system to find if it’s a parameter issue, an ditor bug or a interface issue (between the different applications). With Ganti, all these informations are displayed in one combinated web page so users know directly how the data is in system 1 (referential system for example) versus system 3 (ERP system). Ganti quickly became an essential tool for my daily work, I would have hard time now working without it. The clarity of the displayed informations allows much faster analysis and resolutions of anomalies than before. Ganti allows to be more effecient et more reactive for support. When a business user open a ticket for an anomaly, we can do a very quick diagnostic and we can take the good actions to solve the issue.